We're getting ready to launch! Villa 118B Safwa City Zayed, Cairo, Egypt. The information provided by Gadco Egypt in this website is for general information purposes only. While we endeavour to keep the information up to date and correct. we make no representations or warranties, express or implied about the completeness accuracy, reliability or availability of the information, products, and services contained on the website. © 2018 Gadco Egypt - All Rights Reserved. 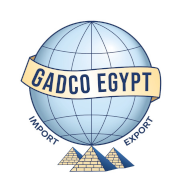 Gadco Egypt, the accompanying logos, trade dresses, and all other trademarks are owned by Gadco Egypt or its affiliates.